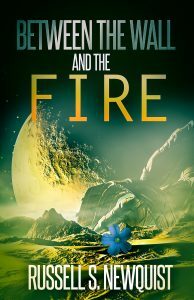 Silver Empire is currently offering a limited number of free electronic advance review copies of our upcoming anthology, Between the Wall and the Fire. Vestanji thirsts for revenge when he feels slighted by his brother. A young boy takes his sister on an out-of-this-world adventure. An old man recounts the story of his life – and his wife. A father tries to stop his son from sacrificing all for their world. Maw Maw Nat fights the evil that lurks in the bayou behind her home. Rel goes to great lengths to bring home something pretty for his wife. Joseph has lost his family – now he’s losing his home as well. Joel fights the system to grant his grandmother’s dying wish. If you would like an advance reader copy, please visit the Advance Review Copies page at silverempire.org.